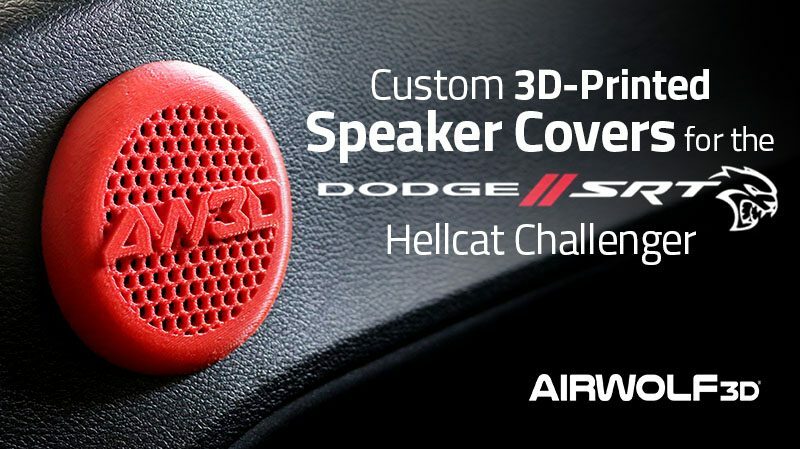 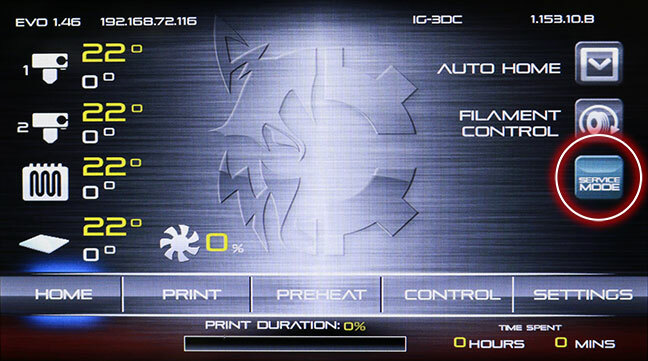 Car manufacturers are finding that Airwolf 3D printers are ideal for automobile design. 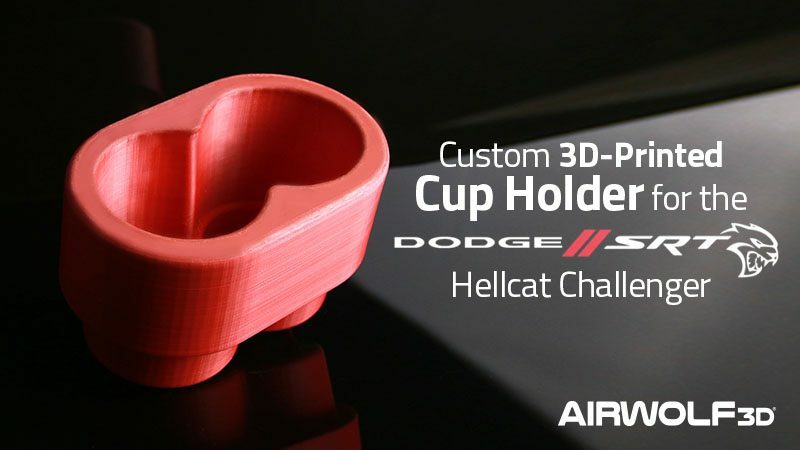 Airwolf 3D understands the unique needs of the automobile industry, such as speed, versatility and reliability. 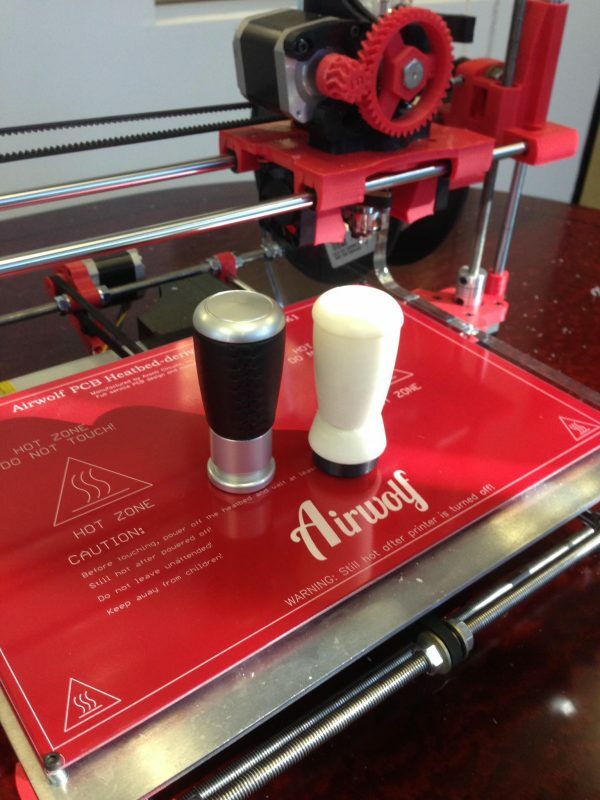 The chief designer and founder of Airwolf 3D printer brings 30+ years of hands on automobile experience to the table. 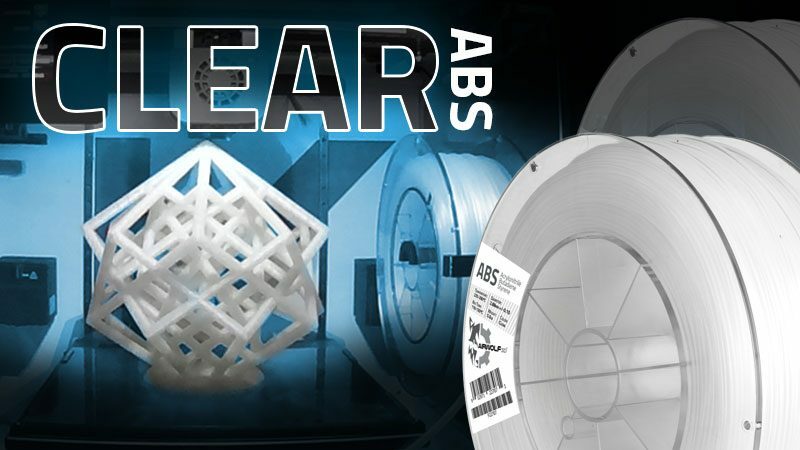 Years of skill that can only be developed by building Porsches and Saabs from the ground up are visible in the quality of Airwolf 3D printers. 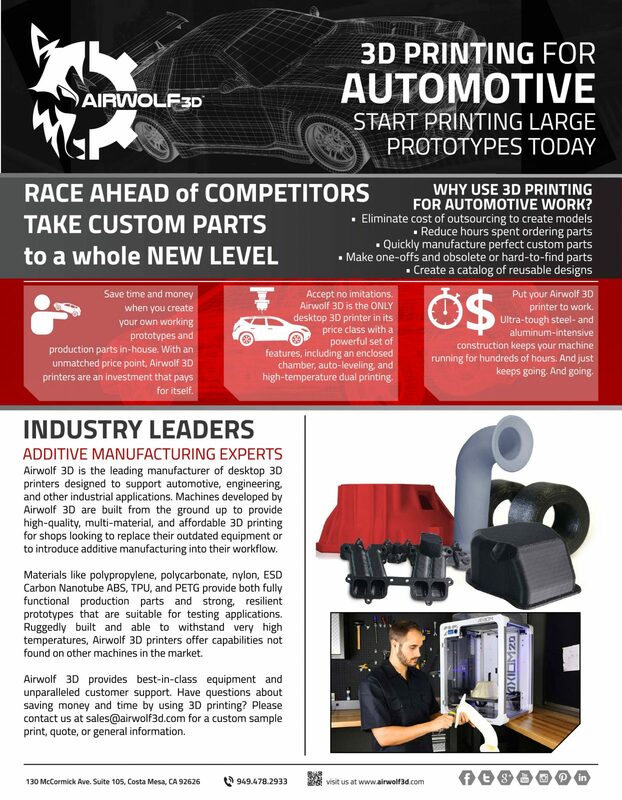 Read on to discover why Airwolf 3D printers are widely being accepted as the best 3D printer for automotive rapid prototyping. 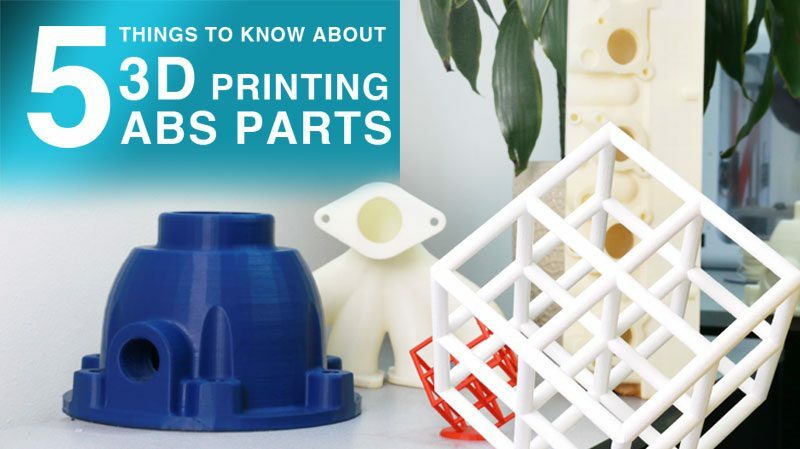 The patented jam resistant hot end supports 3D printing in more than 30 different materials, so designers have limitless possibilities for the car part’s form, fit and function. 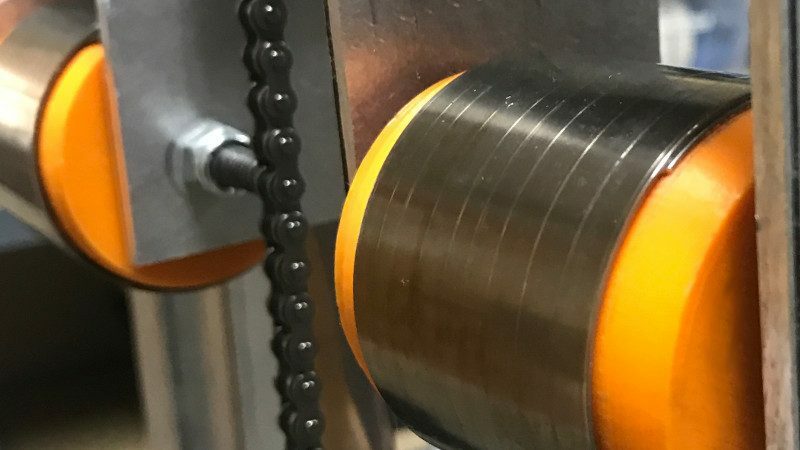 Interchangeable nozzles with different orifices of 0.35 and 0.50 offer versatility between speedy car models with good definition and slower parts with a higher degree of definition. 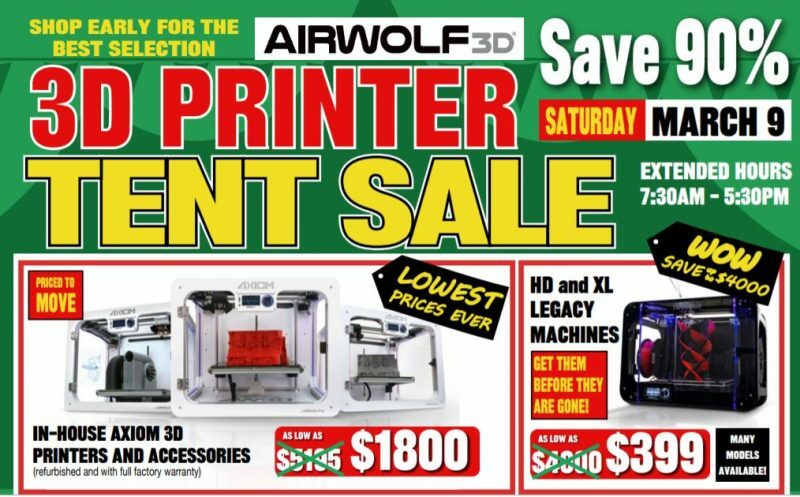 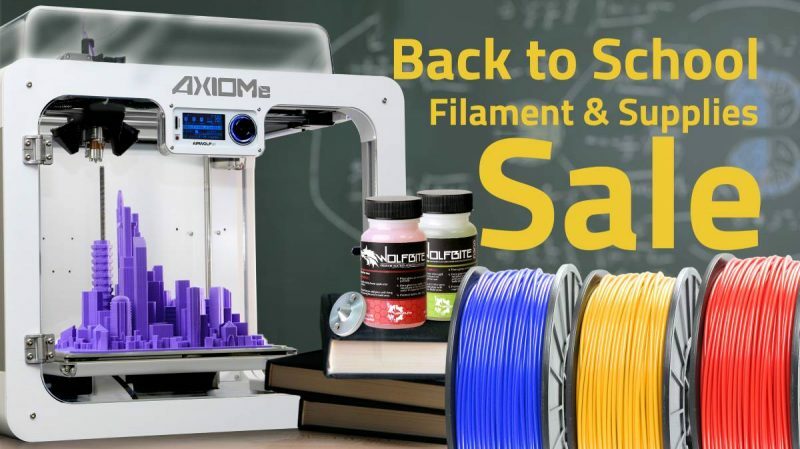 Sensible pricing make Airwolf 3D printers a wise alternative to expensive commercial grade 3D printers. 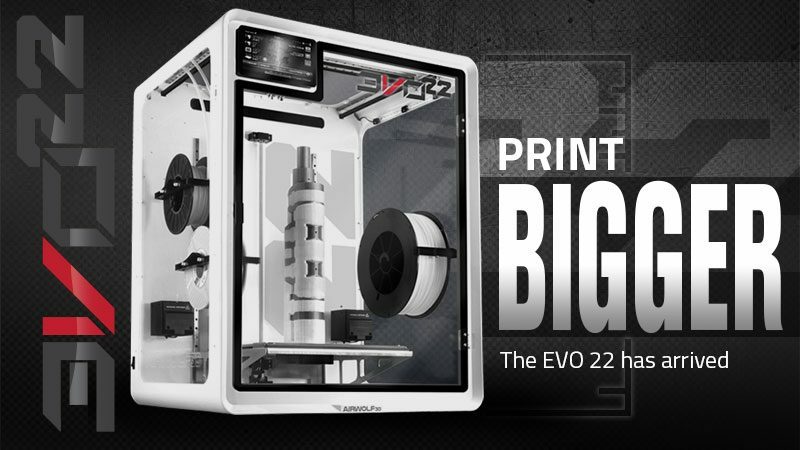 Why not put one Airwolf 3D printer on each desk of 30 engineers for the same cost of buying one large 3D printer? 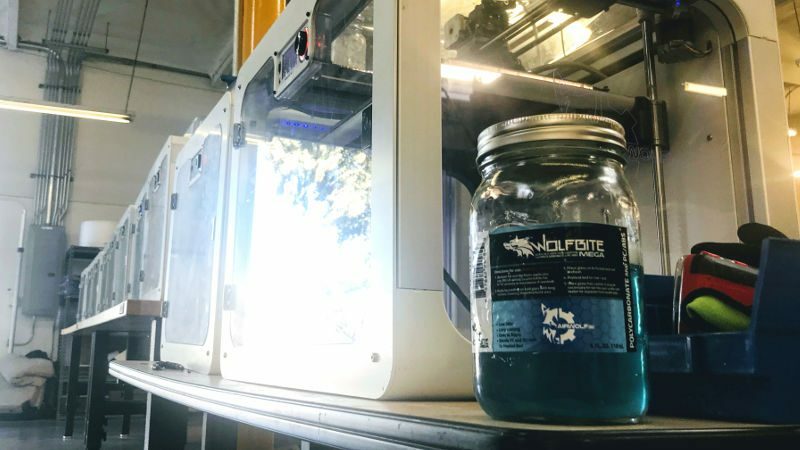 Why make engineers wait in line to share a huge expensive 3D printer when they can speed up the development cycle at their own desk? 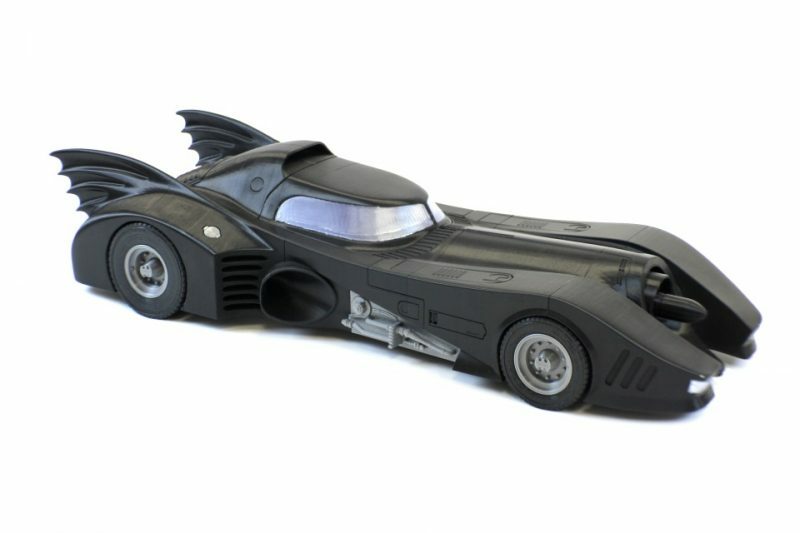 3D printing automotive rapid prototyping is now accessible to all car designers and engineers. 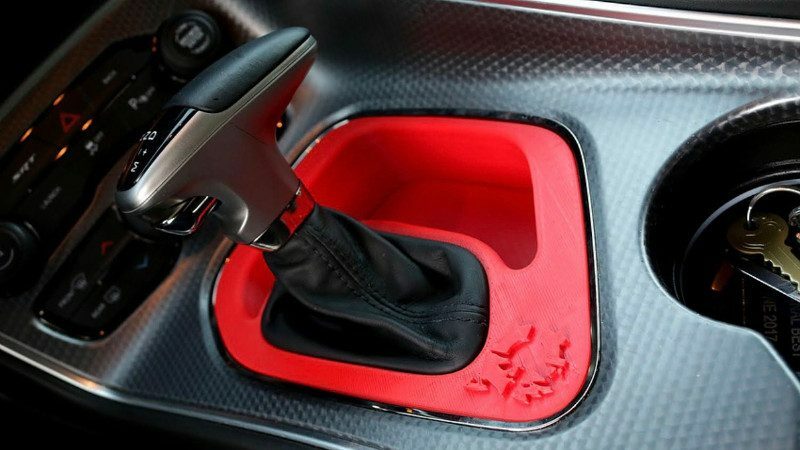 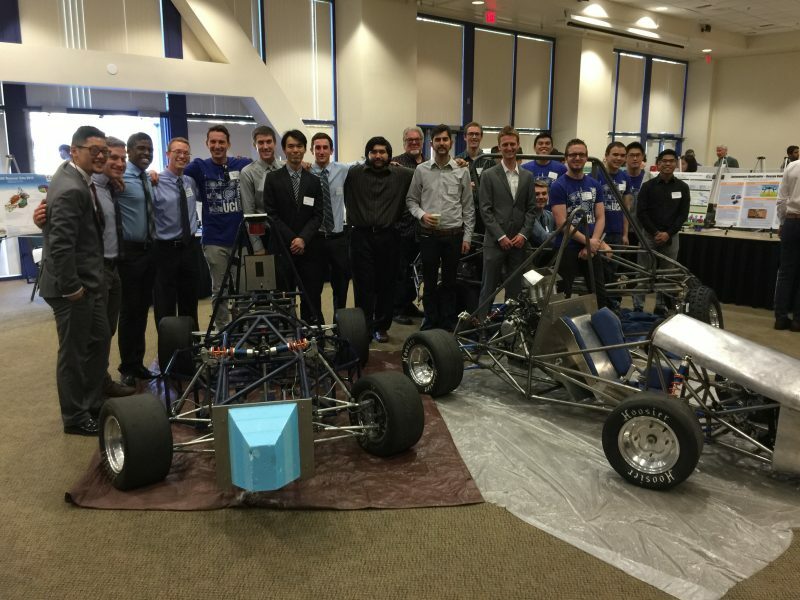 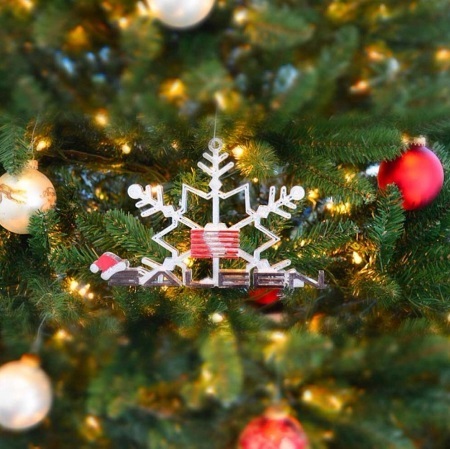 These case studies illustrate that FDM technology is flexible and durable enough for manufacturing 3D printed car parts. 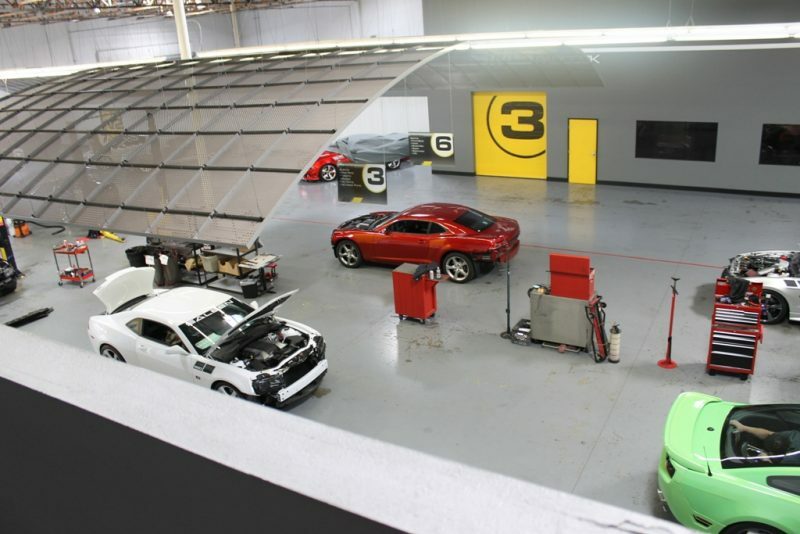 Read about how American innovator Saleen is using a desktop 3D printer for automotive design and rapid development cycle and how Hector Gama designs and 3D prints an entire car.